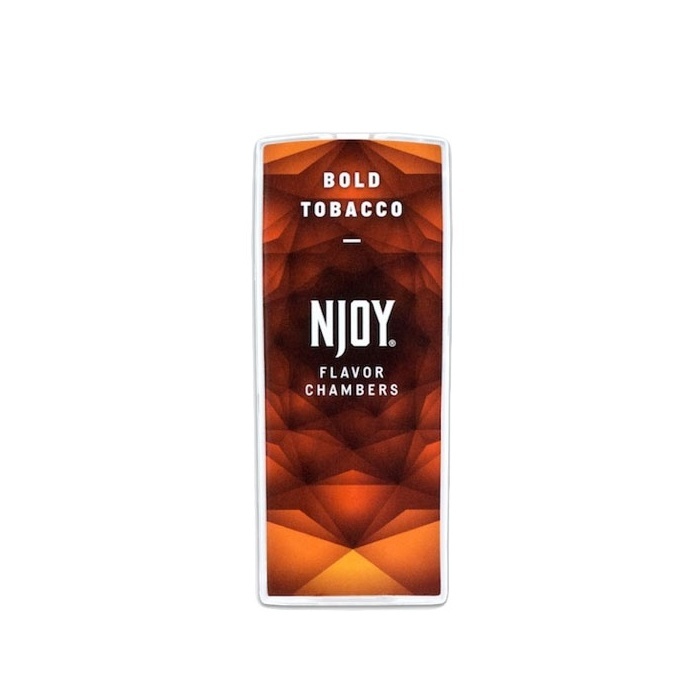 Bold Tobacco is the most popular of the NJOY flavors, providing a strong, authentic American tobacco flavor. It comes in a higher nicotine strength than most cartridge refills (try Gold Tobacco if you want a slightly milder strength). Great flavor. Really fast delivery. The best. The flavor is what I expected and ordered. It is cost effective. I have also gotten by brother to order from you and working on having my brother-in-law do the same. Great cost. Don't last as long as some others, but the price makes up for it. NJoy's Bold Tobacco flavor chambers are by far the best product I have come across as far as e-cigarettes. The hit is perfect and the flavor is as close to a real cigarette that I've come across. Great value for what you get. I have tried others and nothing compares. Excellent product, fast shipping, what more could you ask for! Thank you very much for your customer service. Hope you get this product in soon.